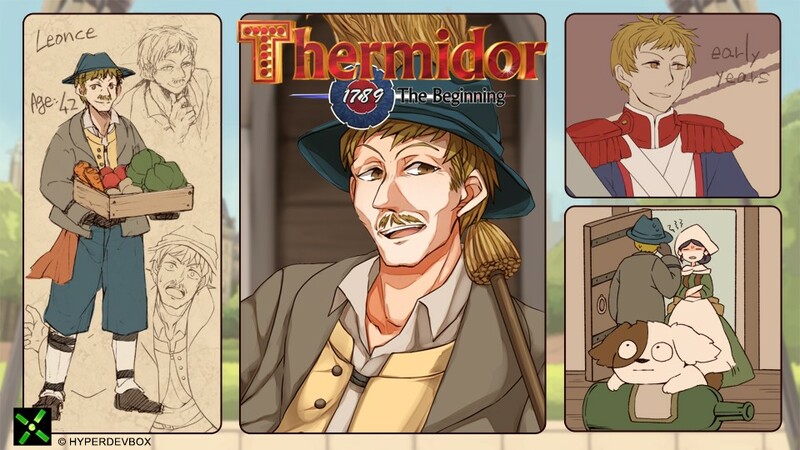 Thermidor – This is another one of our main characters – Léonce! This is another one of our main characters – Léonce. Léonce is Léandre’s father, and was the son of a soldier. He later on followed his father’s footsteps and served in the French army himself. Now he owns the family tavern with his wife, and they try to make a normal living, and live a peaceful life, though constantly under the heel of the aristocracy. Every day, when his wife is out, Léonce goes to the same place to relax and to try and forget about the outside world. Can you guess what that place is? https://hyperdevbox.com/wp-content/uploads/2016/09/1789T_EN_640x240.png 240 640 hdxeditor http://hyperdevbox.com/wp-content/uploads/2014/10/HDXLogo_340x156.png hdxeditor2016-10-13 18:54:082016-10-13 18:54:08Thermidor - This is another one of our main characters – Léonce!